This Privacy and Communications Policy (“Policy”) is effective as of 04-01-2019. 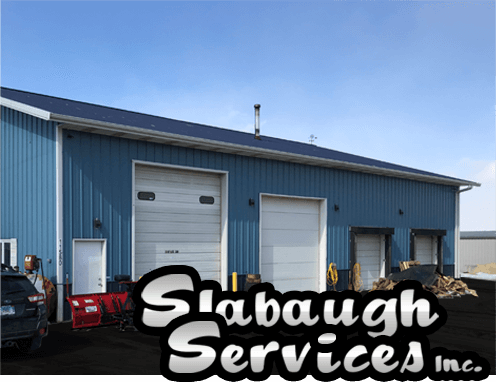 This Policy sets forth how Slabaugh Services Inc., a(n) Illinois Corporation (“we” or “us”), collects and uses the information you provide to us and certain other information that we automatically collect through your access and use of www.SlabaughServicesInc.com (“Website”), which we operate. YOU ACKNOWLEDGE AND AGREE THAT BY USING ANY PORTION OF THIS WEBSITE OR ANY SERVICES OFFERED ON THIS WEBSITE, OR ANY MOBILE APPLICATION WE OFFER, SUCH USE SHALL INDICATE THAT YOU HAVE READ, UNDERSTAND AND THAT YOU AGREE TO OUR COLLECTION AND USE OF THE INFORMATION PROVIDED BY YOU OR AUTOMATICALLY COLLECTED BY US, AS SET FORTH IN THIS POLICY. If you have any general questions or concerns about this Policy, you may contact us by sending an email with your questions, comments or concerns through our website contact form on the contact page. Children under the age of 13 are expressly prohibited from submitting or posting any Identity Information on this Website. If it does come to our attention that any child under the age of 13 has submitted any personal information to this Website, we will delete all such information that we have collected immediately. If you are a parent or guardian and you discover that your child under the age of 13 has submitted any of his or her Identity Information without your permission or consent, we will remove the information immediately upon your request. All requests should be made by email and sent through our website contact form on the contact page. Please include your child’s name and a description of the type of information you think he or she may have submitted to this Website. We along with third parties that assist us to operate this Website may monitor your use of this Website through cookies, web beacons and other automatic data collection tools.” Unless you have adjusted your browser setting to refuse all cookies, some cookies are placed on your browser immediately as soon as you visit our site. Cookies and similar collection tools are files with a small amount of data, which may include a unique identifier. Cookies are sent to your browser from a website and transferred to your device. We reserve the right to monitor your use of this Website and track you as described in this Cookies policy by the use of any automatic data collection tools at all times and you consent to the use of these tools when you use and access our Website. This Website uses both “first-party” cookies and “third-party” cookies. First-party cookies are those used by our Website each time you visit our Website. Third-party cookies are cookies that are set by a third-party source other than our Website. We do not have access or control over these cookies. -Marketing cookies are used on this Website by Google, YouTube and other third-parties to track visitors across different websites. The intention is to display ads that are relevant and engaging for the individual Google use. First-Party Cookies/Tracking Technologies Shopping Cart: Cookies and similar tools are used to facilitate shopping cart and e-commerce functionality with the storage and retrieval of items you place in your shopping cart and to facilitate the operation of convenient shopping cart and check-out features. We also use both “persistent cookies” that remain on your device for the period of time specified in the cookie (these cookies are activated each time you visit our Website), and “session cookies,” which allows us to track your actions on this Website during a browser session. Each time you open up a browser window and close the browser window represents a single browser session. All session cookies are created temporarily and are deleted once you close your browser window. From time to time, we may decide to share Demographic Information in association with Identity Information, past purchase or order history in association with certain Identity Information, or certain Identity Information by itself that we collect through your use of this Website with our cross-marketing or advertising partners, including ad networks, and such third parties display targeted ads when you visit our Website, any of of our partner websites or any websites part of any ad network we participate in. If you do not want us to share and disclose any of this information to such third parties, you can send an email request through our website contact form on the contact page with the words “Information Opt-out” in the message line and specifically request to opt-out of our sharing of this information to these third parties. Please provide us with your exact name and email address when opting-out. Once we receive your request, we will immediately cease sharing your information in the manner stated above. No permission or consent is granted by us to any of these third parties to use or disclose this information in any manner other than as set forth herein. Under the General Data Protection Regulation (GDPR), EU citizens (and individuals located in the EU during data collection) have the following rights: The right to access stored personal data and have it provided to you in an electronic, machine-readable format. The right to rectify errors in your personal data. The right to know how you personal data will be used. The right to know how long you personal data will be stored. The right to know with whom your personal data is being shared. The right to be forgotten and have any stored personal data permanently deleted. The right to withdraw your prior consent to and/or restrict certain uses of personal data we collect. The right to know the source of your personal data collection if informed consent was not given. If you are an EU natural citizen, please contact us by email in order to exercise any of these rights. California Civil Code Section 1798.83 permits California residents to request once per year certain information regarding our disclosure of their personal information to third parties for their direct marketing purposes that we share during the immediately preceding calendar year. If You are a California resident and desire to make such a request, please contact us through our website contact form on the contact page. Please include the words “California Privacy Disclosure Request” in the message. If you would like to request any changes or updates to any Identity Information you have provided to us, or if you would like to view any information we have collected from your use of this Website, please contact us and request the same by sending an email through our website contact form on the contact page. Please include the words “Personal Information Request.” If you make any information requests, we will require that you provide proof of your identity, which may include providing us with a copy of a driver’s license, social security card and/or birth certificate. We also reserve the right to require that you sign and provide us with a notarized affidavit verifying your identity before we update or release any information to you.